This script makes use of the extension method ToDataTable which is part of the Script Utilities. The function must return a DataTable that contains the input data. 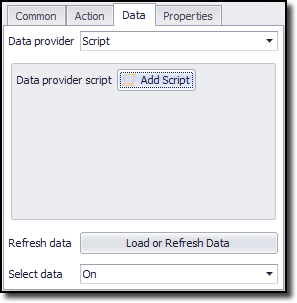 The DataTable can have one or more data columns, and all columns will be available to the data provider command that is using the script.